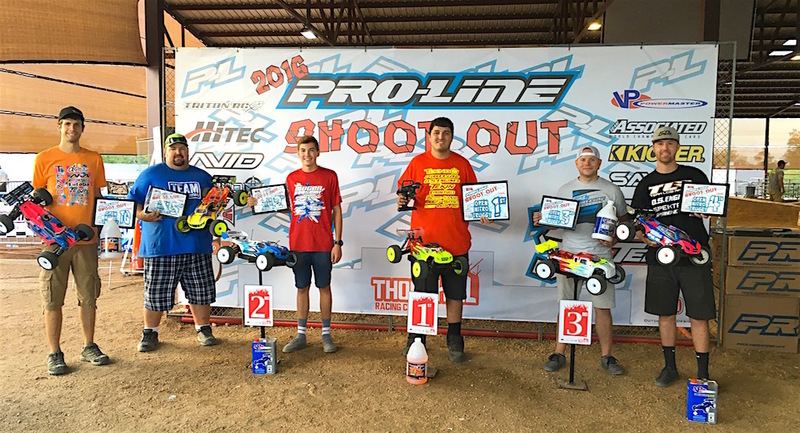 Tekno RC Sweeps 2016 Pro Line Shootout! 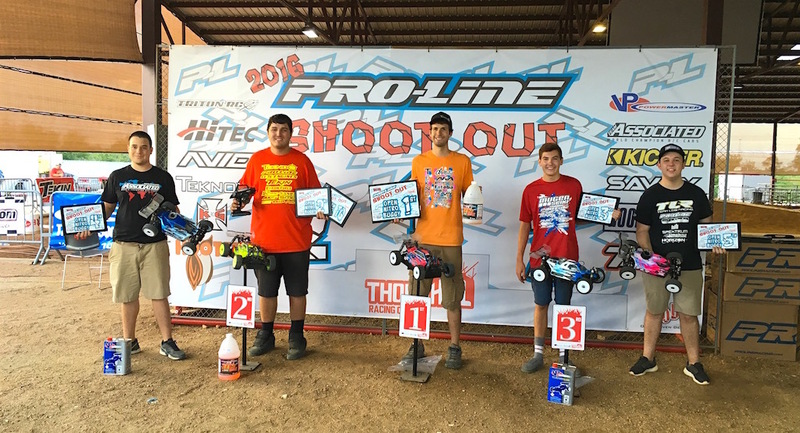 This week Ryan, Joe and Matt traveled to Hutto Texas to Thornhill Racing Circuit for the 2016 Pro-Line Shootout. This race was a little different since it was a spec tire race using the M3 Blockade. Since it was spec tire, it took a lot of the guess work out of it and just let us focus on our car setup and driving. The guys at Thornhill Racing Circuit did a great job with the layout! 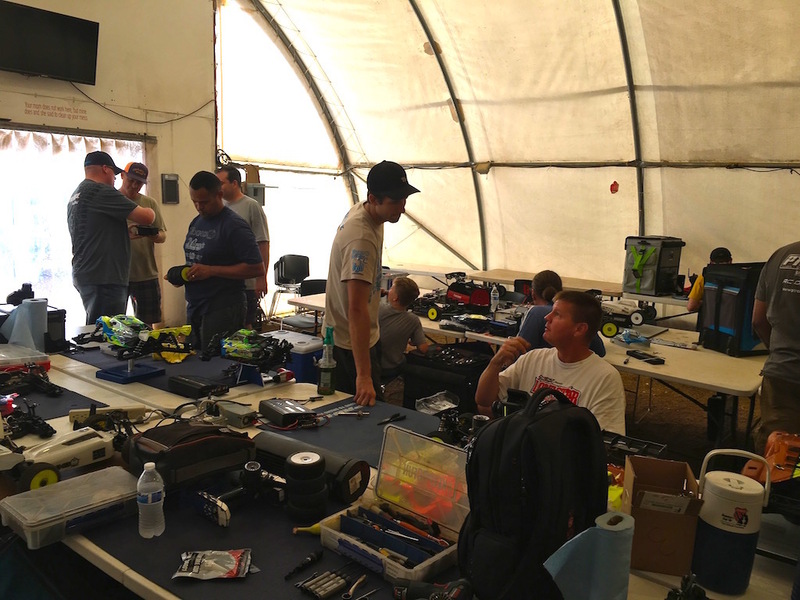 On the Thursday before the race, we did a racing clinic for around 20 people. Since it was our first clinic we didn't really know what to expect, but it turned out well with a lot of positive feedback from the participants. Practice day was a pretty simple day. Ryan, Joe and Matt just got some good track time, ran in some tires and got the cars dialed in. In qualifying it was a battle between Joe and Ryan in all three classes. 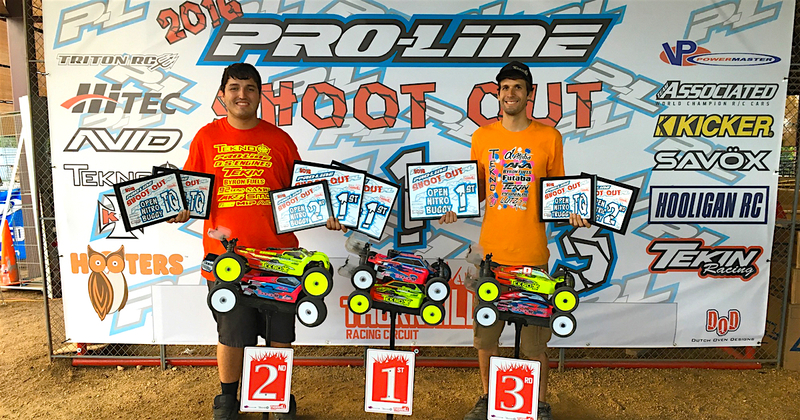 In Ebuggy, Joe swept all three rounds securing the TQ spot for the Triple A Mains with Ryan starting second. Matt even snuck into Ebuggy main in the 7th spot. 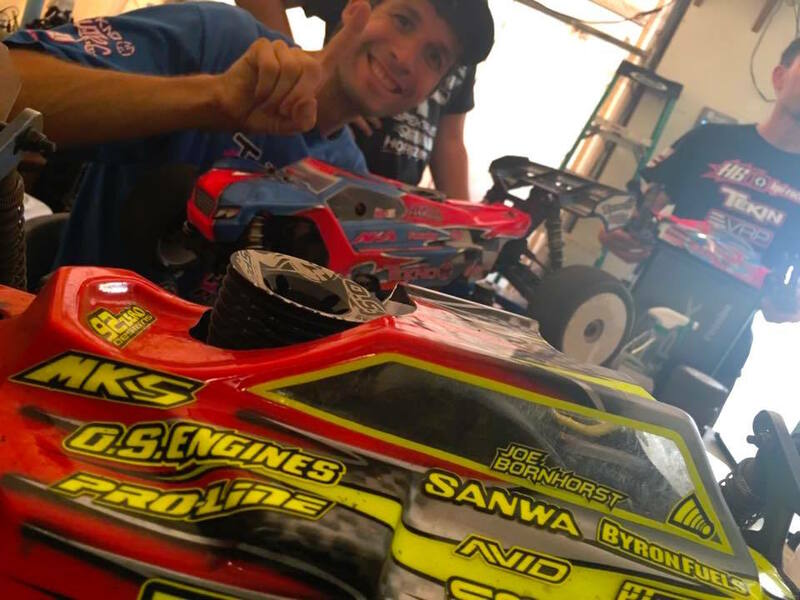 In Truggy, Joe got the first round and Ryan got the last two rounds giving Ryan the TQ spot. Then in Nitro Buggy Joe swept all three rounds again giving him the TQ spot with Ryan starting in second. 3 out of 3 TQs for Tekno RC! In the mains, it was once again a battle between Joe and Ryan all day. In the 30 minute Truggy main, they got out to a good lead on the pack and began pacing each other. After a few lead changes throughout the first 20 minutes, Joe settled into a comfortable lead when Ryan had an issue that forced him to retire from the race early. Buggy again was a battle. Joe and Ryan were pacing each other, pretty much playing a game of chess waiting for the other one to make the first move. Since we were on the M3 tire, we were pretty much in conservation mode the whole time. Joe made a couple mistakes at about the 25 minute mark allowing Ryan to get out to a comfortable lead. In the last fuel run, Joe tried to push hard to catch up but couldn't quite do it allowing Ryan to grab the win and Joe came across about 10 seconds behind in second. The Ebuggy triple mains were pretty interesting. Ryan got the first one as Joe made a mistake early. The exact opposite happened in A2 where Ryan made a mistake early and Joe grabbed the win. Since they split the first two, it would come down to the final race to decide it. They got out to a clean start and had a battle for 10 minutes with Josh Glancy staying right with them. They were pretty much the same speed so it was basically sprinting around trying not to make mistakes. At the end, Joe was able to stay out front and grab the overall win with Ryan coming in second. Also, team manager Matt ended up with an 8th overall with 7-9 finishes. 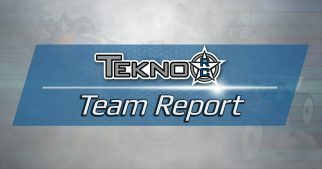 Overall a great weekend for the Tekno crew. 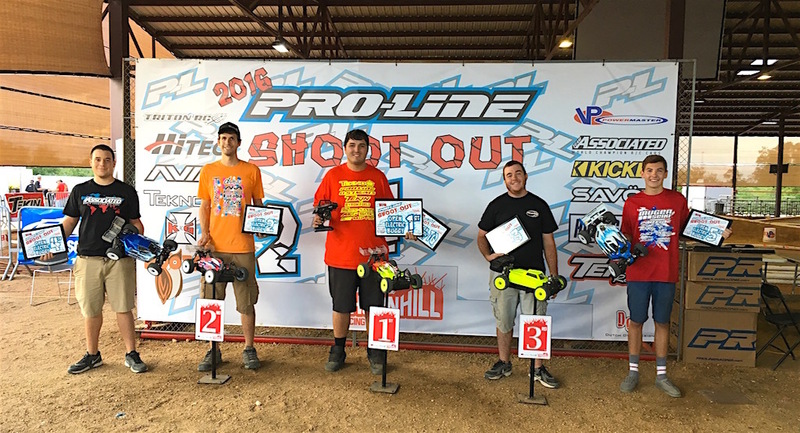 Three classes, three TQ's, and three wins. Next up is the Sikcross race at Pro-Line in almost two weeks. We hope to see everyone there!